‘Ports’ are an important aspect of computer networks. They are the virtual incoming and outgoing “roads” of a computer network, utilities like Firewalls use ports to filter network traffic data for security purposes. And by scanning these “roads” where the traffic flow in your network, one can learn a lot about that computer network. 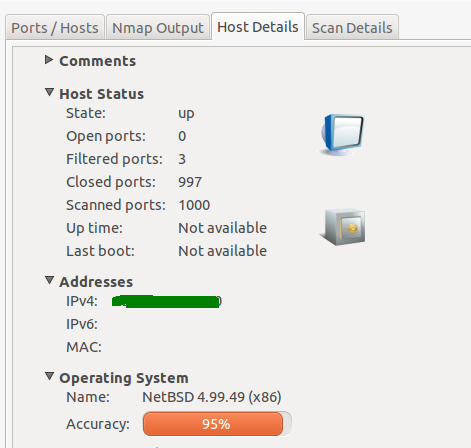 Port scanning is not a method used only by hackers for spying or break into networks but it is actually performed by the operating system for discovering other peer in a network as well. This may not concern most of the regular users but port scanning is also used by individuals like system administrators to identify security vulnerabilities. 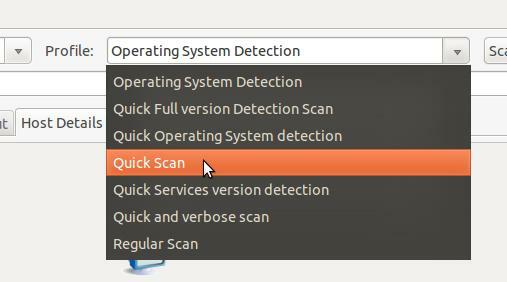 If you’re searching for an easy to use, features rich port scanner then you should try ‘Umit’. It’s actually a cross-platform, open source tool that runs in GNU/Linux, MS Windows and Mac OSX. *. You can either run it as a normal user or if you want all the scanning feature enabled, then you’ll have to run it as an administrative privileges. *. Shows target Mac Address, opened ports, close ports, filtered ports, device type used etc. *. Tells you about the Host OS (not always works but even if it can’t. 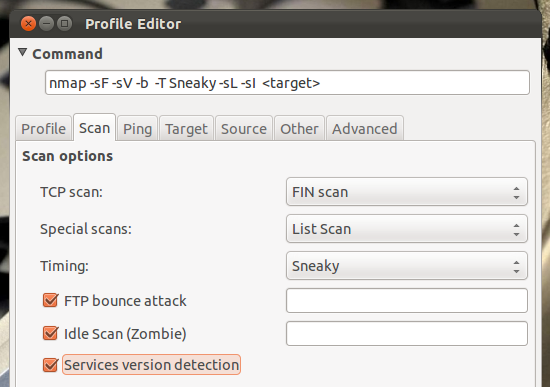 it’ll still give you “hints” that can be used to identify the host OS). *. Shows you the services and their ports and protocol being used. *. Supports IP 4 and 6. *. Target device guessing (whether it’s a router, modem, networked printers etc). *. Up-time of the Host (again not always works). *. 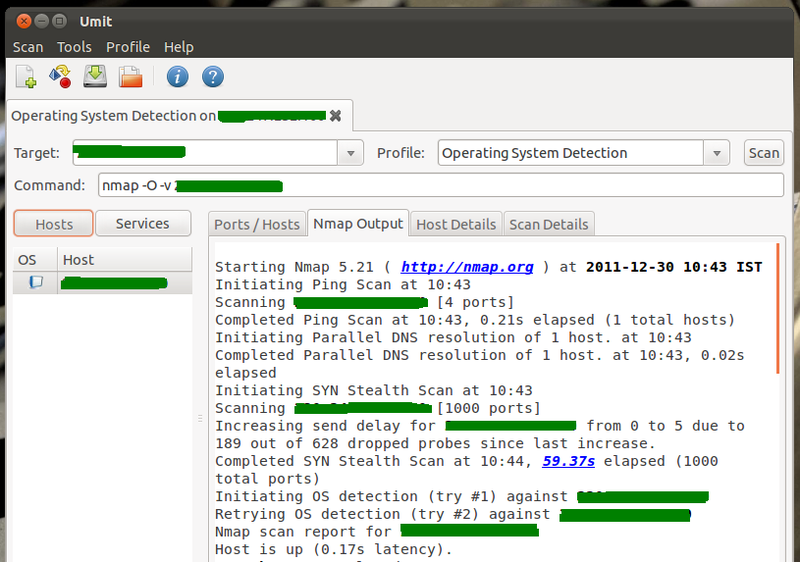 Also displays the amount of packets sent for the scanning (including the time it took). *. Umit has few built in “profiles” that execute few different “scan” modes such as: Operating system detection, Quick full version detection, Quick scan, Regular scan and Quick-Verbose scan. *. Uses different colors for MacAddress, filtered ports/protocols and unfiltered ports/protocols etc for easy recognition (can be changed manually). *. Has an inbuilt easy profile builder Wizard (with “Novice and Expert” modes). *. For all you experts you can easily add a new profile containing your own scanning modes: Disable IP6 scanning, only scan chose ports, enable FTP Bounce attacks, choose between different TCP scanning methods, Packet watching, IP timeout settings (when to “give up” on a target in a certain time-frame) etc. *. Save, search and open results. *. It also has reasonable “help” page that’s worth checking out. You can install the awesome Umit network port scanner in Ubuntu 12.04 Precise Pangolin, 11.10 Oneiric Ocelot, 11.04 Natty Narwhal, 10.10 and 10.04 by simply typing the below command in your Terminal window. For other OS platforms, please visit this UMIT download page for more information. It did crash few times while I was using it in Ubuntu 11.10 though. That’s pretty much it. Good luck. How to Easily Setup a Dictionary in Ubuntu Linux?